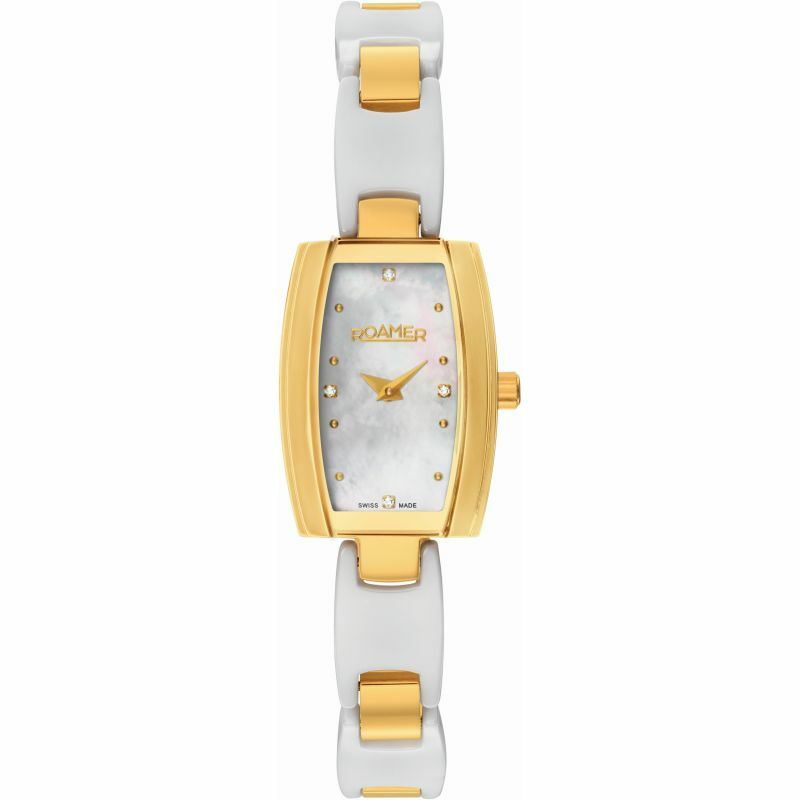 Roamer Ceraline Bijoux BoxSet 673847488960 is an incredible trendy Ladies watch. Case is made out of PVD Gold plated and the Mother of pearl dial gives the watch that unique look. In regards to the water resistance, the watch has got a resistancy up to 30 metres. It means it can be worn in scenarios where it is likely to be splashed but not immersed in water. It can be worn while washing your hands and will be fine in rain. We ship it with an original box and a guarantee from the manufacturer.